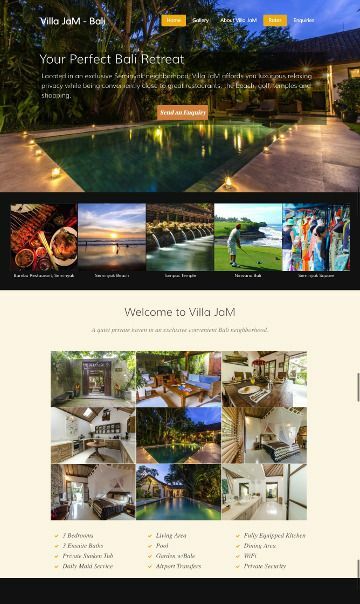 Bali Villa JaM is a beautiful vacation villa in Bali. Great photography makes for a great site. 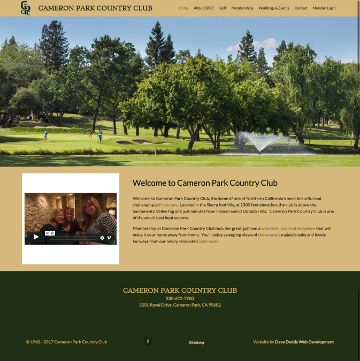 Cameron Park Country Club is a member club site presenting beautiful photography on the public site. The member only section features directory, calendar and newletter tools. 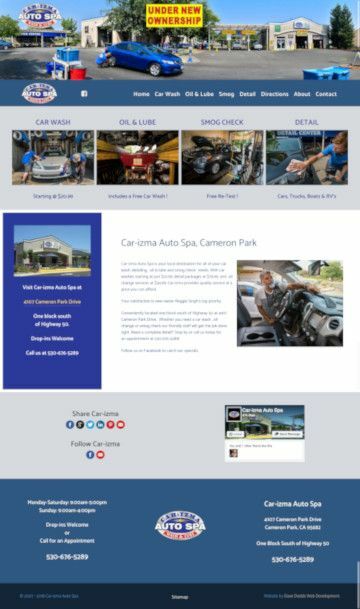 Car-zma Auto Spa is a retail business website featuring excellent product messaging, a facebook fanbox and a google map. 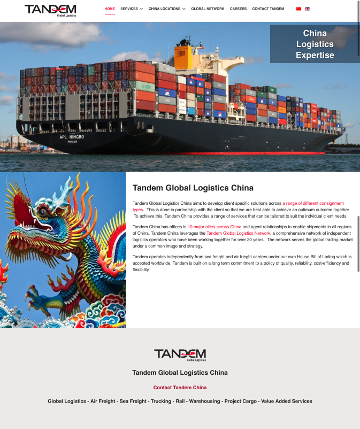 Tandem Logistics China is a bilingual business site featuring a full width showcase and a custom multi-recipient contact form to service multiple locations. 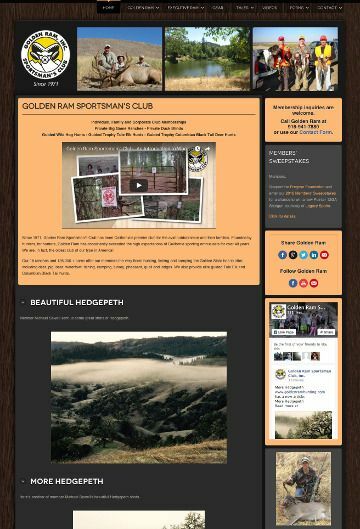 Golden Ram Sportsman's Club is a hunting club promotional site. It makes use of socially integrated member generated content to build it's audience. 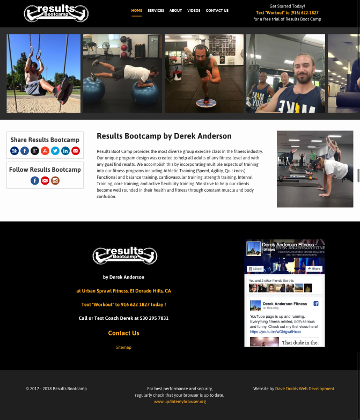 Results Bootcamp by Derek Anderson includes a custom subscription sub-site which shares custom training plans and videos with subscribers. 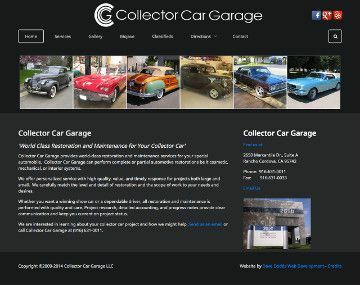 Collector Car Garage is a niche business site featuring a google+ integrated photo gallery. 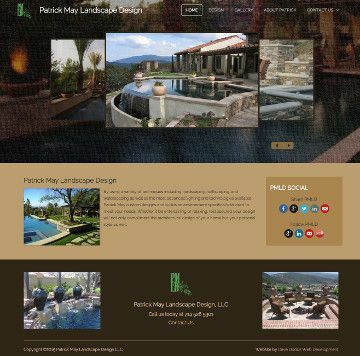 Patrick May Landscape Design a small business professional site demonstrating the value of good photography. It features a google+ integrated photo gallery for easy client photo loading. You want a clean, attractive, responsive, social media integrated, search engine optimized website that highlights your message to your audience. I use the latest open source tools to get you the functionality you need and the professional look you want. Over a decade on the web, building dozens of websites gives me the skills and know-how to get your site built right. Take a look at our latest Dave Dodds Web Development websites. They're clean, attractive, professional and fun. Using Open Source tools, like the Joomla Content Management System, cut development time dramatically. Items that just a few years ago took days to hand code are now available in a matter of minutes. You get me your content and I'll get your site up fast. The Joomla CMS platform on which I'll build your site is free open source software. Many modules I use to add functionality are inexpensive and often free. Using open source software keeps your costs down while gaining improved quality and functionality. I focus my custom coding efforts to achieve your desired results. Sites that a few years ago cost thousands to hand code can be achieved for hundreds today. Because Joomla websites are easy to update, you can do updates yourself or I can do them for you at minimal costs.